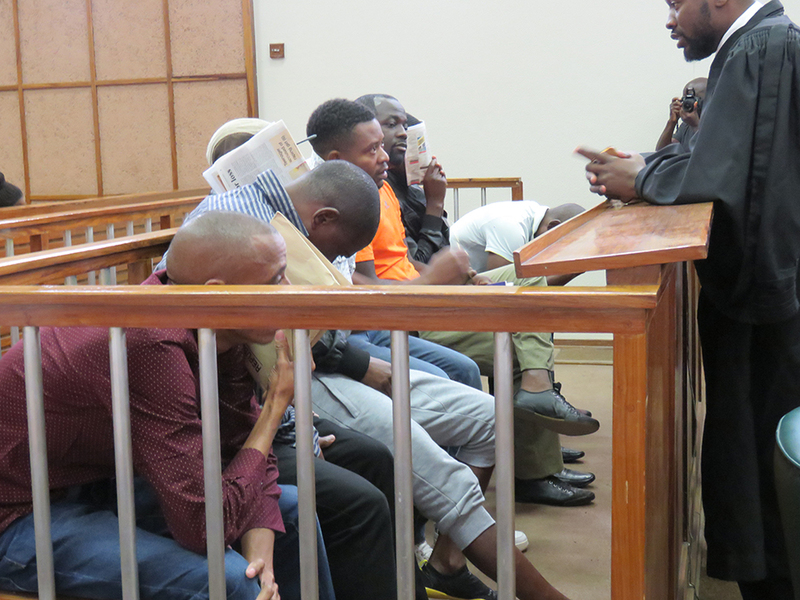 THE trial of sixteen people implicated in a false tax refund claim scam involving N$210 million has yet again been delayed, following the withdrawal of defense lawyer, Kadhila Amoomo, who represented three of the accused persons. On Wednesday, three of the suspects were set to plead guilty to the fraud charges that they are facing, and the State, represented by Advocate Henry Muhongo, was supposed to separate the charges and try them separately. 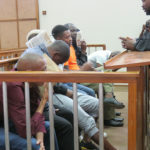 The suspects are Mamsy Nuuyoma, Noah Naukosho, Lukau Nestor, Benvindo Momafuba, Pembele Zimutu, Paulo Kiala, Joao Manuel dos Santos, Tatiana Gonga, Carlos Eliseu, Isaac Cupessala, Paquete Jose, Malakias Rufine, Carlos Tchinduku, Miapa Nelson, Joaquim Pedro Espanhol and Lucio Cazembe. It is unclear at this stage who the three people are with intentions to plead guilty. The matter has since been set-down for a pre-trial conference. Another judge, Kobus Miller, was assigned to the case and two court assessors are currently consulting with the judge due to the amount of money and people involved. The suspects were arrested by the Anti-Corruption Commission in December 2015 as a result of the Ministry of Finance’s investigations into cases where refund claims were forged at the Receiver of Revenue. They face 512 counts of fraud, relating to conspiring to commit fraud, forgery and uttering, as well as corruptly using false documentation.